The Slowly Boiled Frog: Do We Really Need a "Catholic Charismatic Ex-Lesbian?" Do We Really Need a "Catholic Charismatic Ex-Lesbian?" 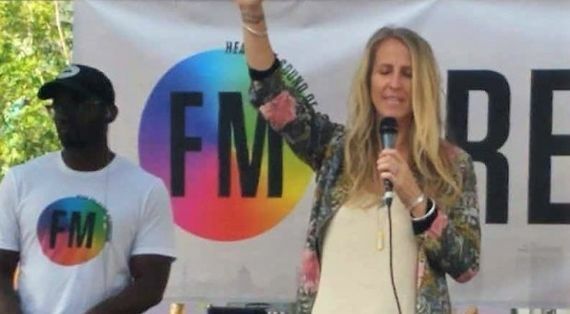 Kimberly Zember promoting pray-away-the-gay miracles at a so-called "Freedom March." Kimberly Zember is a faith healer, a promoter of pray-away-the-gay inanity. According to Jessilyn Lancaster the world needs to hear her message. No, it does not. Ms. Zember is no different than a slick huckster with a revival tent and an expensive suit. Zember has been one of the leaders of those rather unsuccessful “Freedom Marches” which are being bankrolled anonymously. This enterprise has at least the patina of being harmless. If Jeffrey McCall and Kimberly Zember want to make fools of themselves, have at it. But is it really benign? Suppose, for example, the parent of an LGBT child were to believe the BS? Let's back up a bit. We know, to a scientific certainty, that sexual orientation has a genetic component. No, I am not going to veer into ridiculous “gay gene” territory. What we do know is that, in identical twins, if one is gay there is a 50% probability that the other is gay. Now wait a minute, some would say. If they have the same DNA then why isn't it 100%? The answer lies in the sub-genome and environmental factors which I will get into in a minute. In fraternal twins, the probability drops to 25% which is still many times the incidence of homosexuality in the general population. Fraternal twins share less DNA than identical twins. “Environmental” in science means any correlate that is not genetic. One theory holds that the birth mother's hormones play an important role in sexuality. The existence of the Male Sibling Effect seems to support that or something similar because, with each successive male born to the same mother, the chances of a child being gay increase. Gender identity is formed by the age of three (many scientists say two-years-of-age). It has been difficult to study gender identity because at the age of formation children do not have the language skills to engage in scientific exploration. A two-year-old does not make a decision to eventually have gender dysphoria. Regardless of how they are formed, neither sexual orientation nor gender identity are choices. 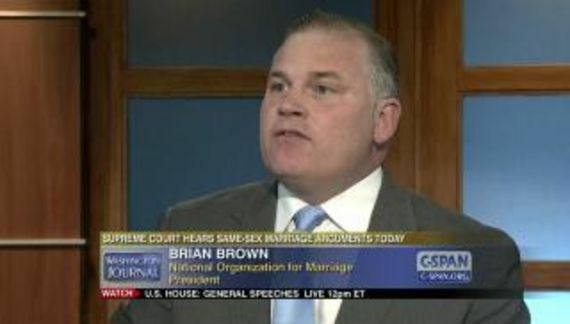 Some religious conservatives would say that even if sexuality is involuntary, acting on it is a choice. That means that people should disregard a key element of who they are because of ancient manuscripts defining sin. Moreover, people like Kimberly Zember aren't telling people that prayer induces different choices. They are claiming that, through Jesus prayer can lead to change. Speaking in an unknown language without having studied would be yet another miracle. The religious world is filled with miracles. It's not just Christians. Moses, you will recall, parted the Red Sea. The belief in miracles defines the concept of faith because none of the countless miracles that have ever supposedly happened since the dawn of time has ever been proven. Faith does not require proof. I do not have a problem with people of faith. They are entitled to choose a belief system no matter how esoteric it might be. Where I have a problem is the substitution of faith for science. Most people do not do that. If they have a cancerous tumor they might pray but they are also going to rely on the treatment provided by a qualified oncologist. Pray-away-the-gay (or trans) discards all of that. There is no medical backup, nor should there be. The consensus of medical science is that sexual orientation and gender identity cannot be changed through some form of therapy; an approach that has the potential for toxicity. So Ms. Zember is trying to convince people that miracles can occur. Given the track record for religious miracles, what happens when one does not happen? People might be determined to pretend to have changed but how many “therapists” themselves get caught on Grindr or using the services of the now defunct Rentboy.com? But let's take the plight of a gay teen who has a religious mother who, in turn, subscribes to miracle theories. Mom is going to put tremendous pressure on the kid because she does not want him destined for Hell. If the kid is honest and admits that he is still gay he will be blamed. Either he hasn't prayed hard enough or isn't sufficiently motivated. At some point he might lie and claim to be straight just to get mom off his back. So now we have a deceitful son who is pretending to be something that he is not. Mom is happy but at some point it is likely that she will be devastated when the truth emerges. Not only does she have a gay son but a son who deceived her. How does a family come back after that? How can trust ever be restored? The boy and his parents are both furious. The prime component of any relationship is good faith. Obliterate good faith and families become dysfunctional. People like Ms. Zember do not seem to care about the misery they leave in their wake. The plight of a child with gender dysphoria is even worse. The only relief that he or she gets is through gender affirmation. Kimberly Zember just took that away. She has no medical or counseling training. The belief in a miracle that is never going to happen may very well put a child's life at risk because of the potential for self-harm and it is a certainty that she will cause suffering. The point that I am trying to make is that these people are selling miracle cures that do not exist. No conversion “therapist” or ministry has ever substantiated effectiveness and safety with outcomes tracked over a long period of time and then documented the results through a respected academic journal which will subject the article to robust peer review. The obviously silly campaign is easy to deride. It might even be a source of amusement. However, if it damages just one child, that is one too many. Practitioners never take responsibility for the harm that they do. I have theorized that they do not track outcomes because they know that the results will be dismal which means that they are knowingly injuring people. That makes these sanctimonious fools sociopaths.